I see Maggie Steifvater’s books everywhere. I hear people praise her books all the time. Yet, it wasn’t until the other day that I actually went ahead and got one of her books. You would think that I’d pick Shiver, the first book in her best-selling series. But no, I picked up her latest novel, The Scorpio Races. What makes this truly strange is that I’m… not a horse person. Pretty sure I’m the only one who didn’t cry during War Horse. I think they’re beautiful creatures, but movies or books involving never caught my interest. So… I thought maybe killer horses would catch my interest. After all these movies worshipping and revering the animal, it might be cool to see humans deathly afraid of them. Oddly enough, The Scorpio Races changed my mind about horse. It’s an incredibly well-written and sweeping story of love, courage and loyalty. The Scorpio Races alternates perspectives between a young man named Sean Kendrick, famous for winning (and surviving) the races so many times, and a young woman, named Puck Connelly, recently orphaned and trying to take care of her brothers and their home. Sean is a quiet person, dedicated to capturing and taking care of capall uisce, the killer water horses. Those horses are then used to be raced by many brave men once a year for The Scorpio Races. Sean’s especially close to Corr, a water horse that he has spent his most of his life training and racing. But unfortunately, he doesn’t own Corr; his boss, Benjamin Malvern does, and refuses to sell his most profitable animal to Sean. As for Puck, her older brother, Gabe, reveals that he’ll be leaving them to go to the mainland. Puck can’t believe that Gabe would abandon her and their young brother, Finn. In order to make him stay or reconsider going, Puck announces that she’s joining the Scorpio Races with her non-killer horse/pony Dove. Her brothers think she’s crazy. The whole town does, too. But nothing will deter her from changing her mind. The story begins slowly, as we begin to learn everything about the island Thisby and its capall uisce. We also get to know Sean and Puck and how they fit into the community. Puck is tenacious and brave, while Sean exudes a quiet intensity that intimidates most people. His perspective is a lot more guarded, but he opens up to the delightful George Holly, a visiting American who is looking to buy some horses. Puck is a lot more open and questioning of herself. But her zeal overrides her insecurities, and I couldn’t help but love her courage. Many of the supporting characters were well-fleshed out, each serving a purpose in Puck and Sean’s story. The characterization is so well-done that this small community felt so real. It is really what pulled me in, not only did I care about Puck and Sean, but everyone else as well. That rarely happens for me. I usually strike an affinity to the lead character(s), and that’s it. With Scorpio Races, I cared about Thisby and everything that made it what it is. The characters mostly focus on the races and surviving. There is a romance, but it’s a slow burn kind. If you’re impatient about those kinds of things, normally I would say that this isn’t for you, but in the case of this particular book, I say “Get over it!” The romance that blossoms between Sean and Puck is so arresting and wonderfully beautiful. It’s simple, but like everything else in this book, it feels so real. It’s not gushy, cliché or overdone. It’s quite perfect. What also makes The Scorpio Races stand out is that it isn’t part of trilogy, series, saga or whatever. It’s a standalone novel. You don’t get yanked into a tumultuous, overlong tale with one too many cliffhangers, like so many other YA novels. It’s just one book, and the ending left me breathless and satisfied and happy. What more can I ask for? 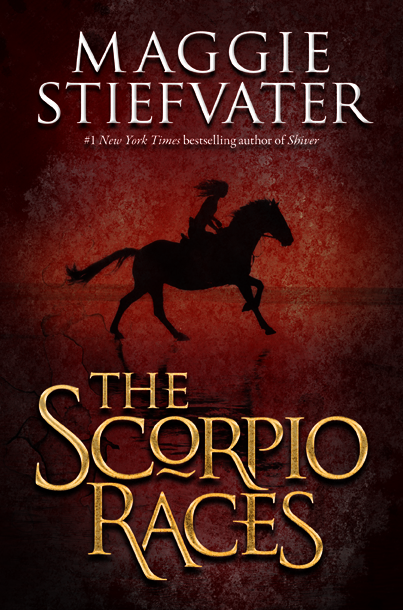 The Scorpio Races is available in bookstores. You can purchase the book at our TYF Store, powered by Amazon. TYF Column: What Are We Reading?